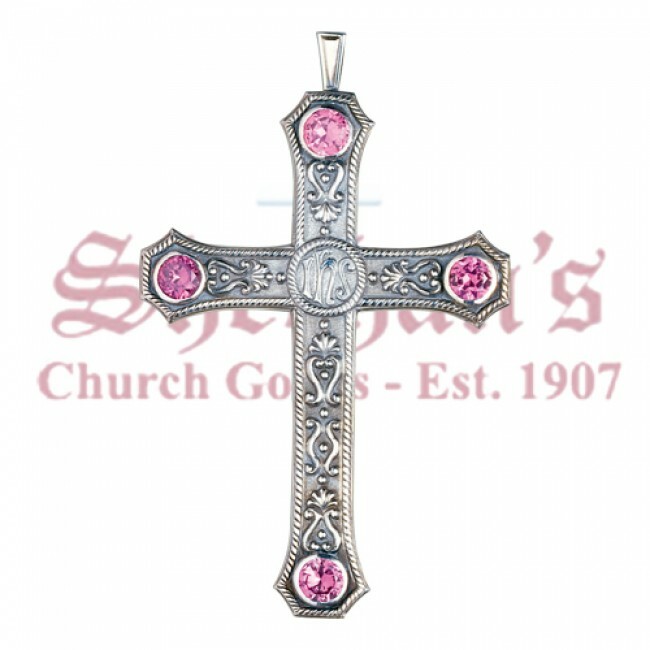 The Classic Pectoral Cross features intricate metal detailing and reconstituted amethyst gem cut stones on each end. The center of the cross is printed with IHS in a circle outlined with a rope style detail. The same metal rope edging also surrounds the rest of the body of the cross. 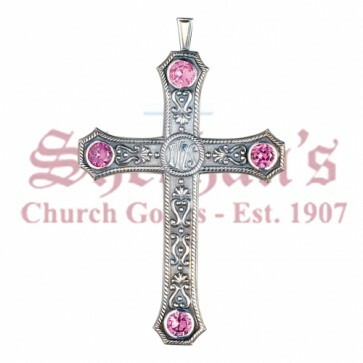 The Classic Pectoral Cross is available in sterling silver or 24 gold plating over sterling silver. It includes a loop at the top to attach to a chain. 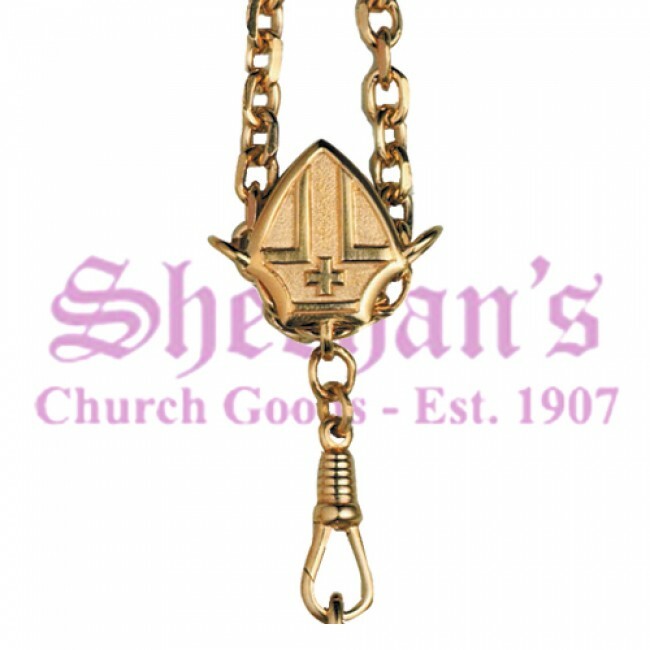 A matching 36 inch chain may be purchased separately.